TAG Heuer’s exceptional quality and standout aesthetics live not only in their products, but also in their displays. TAG Heuer came to Outform for a dynamic window display to showcase the Connected watch at the brand’s Oxford Street location, one of the most popular shopping destinations in London. Oxford Street’s busy environment and many storefronts posed a challenge: how can we disrupt the shopper journey and create excitement for the TAG Heuer Connected window display? The TAG Heuer Illuminated Window Showcase rises to the challenge, featuring bold design and engaging brand content. 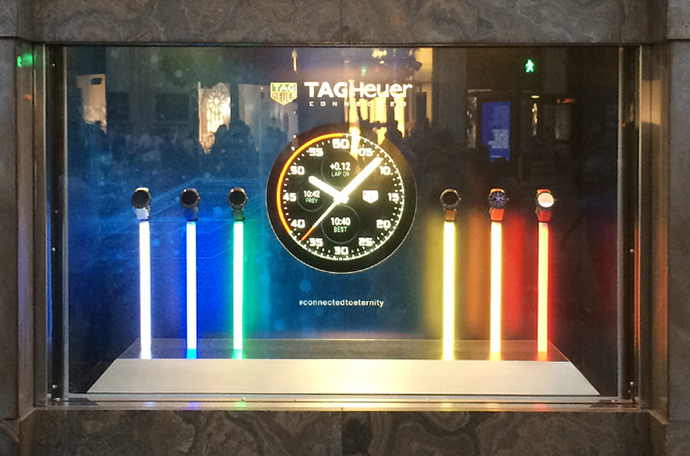 A spectrum of colorful, illuminated pillars showcase the TAG Heuer Connected watches and give the illusion that the watches are supported by beams of light. 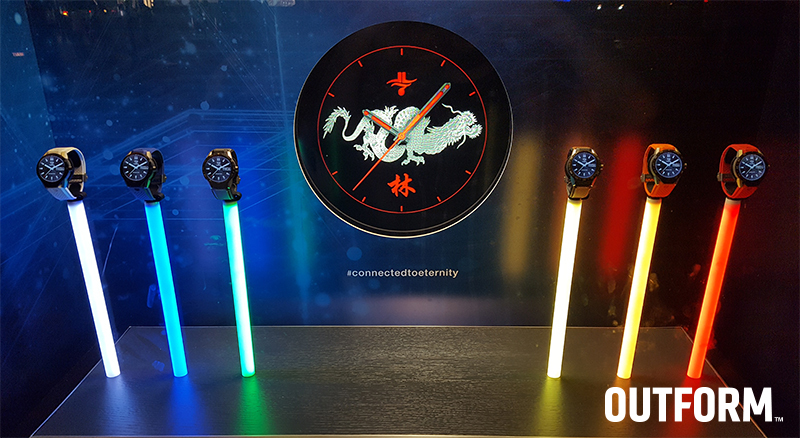 The vivid luminescence attracts from a distance, while the round screen promotes discovery of technology and features in every device. The TAG Heuer Illuminated Window Showcase is a memorable shopper experience, taking advantage of the heavy foot traffic on Oxford Street to give maximum brand exposure. If you happen to be in London, look out for the TAG Heuer Illuminated Window Showcase, though we’re sure it’ll be hard to miss.